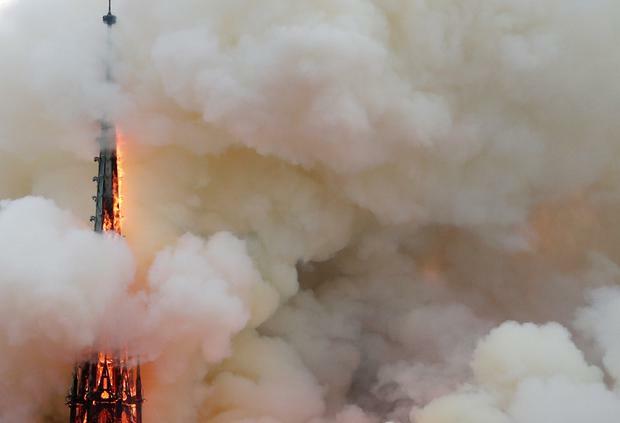 The steeple of the landmark Notre-Dame Cathedral collapses as the cathedral is engulfed in flames in central Paris on April 15, 2019. 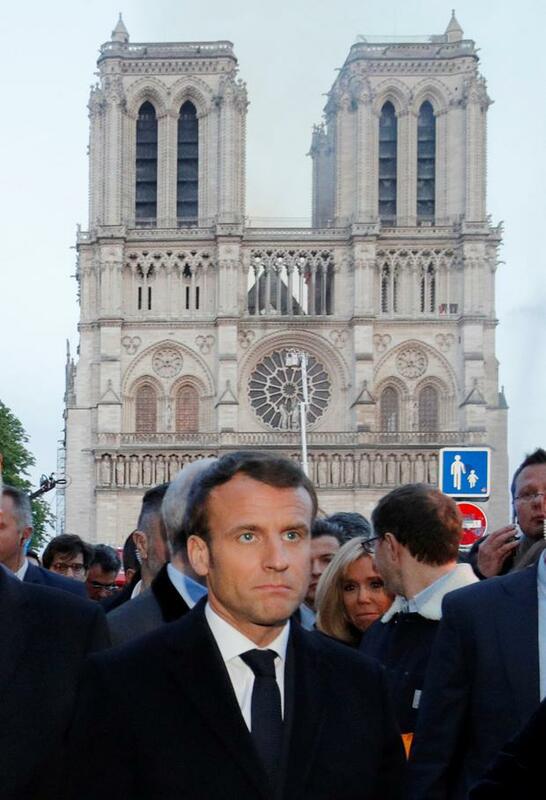 Macron also pledged to rebuild Notre-Dame cathedral. 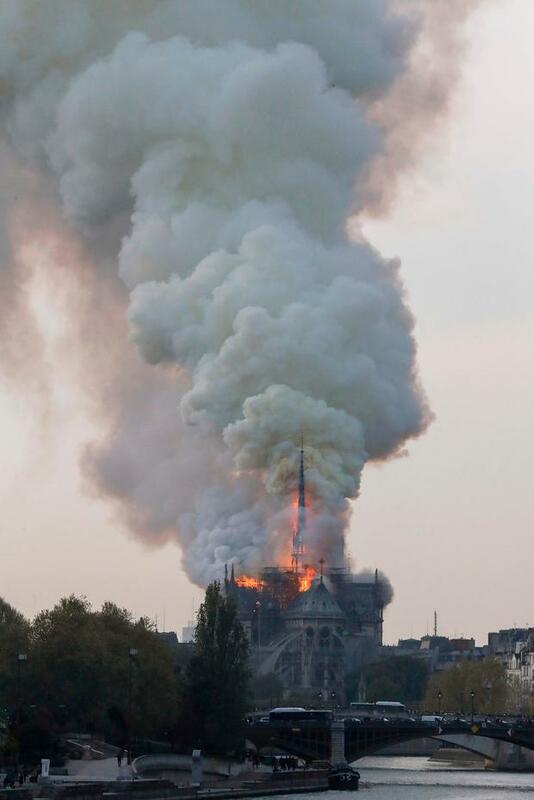 "Notre-Dame is our history, our literature, part of our psyche, the place of all our great events, our epidemics, our wars, our liberations, the epicentre of our lives," Macron told reporters in front of the still burning Paris landmark. 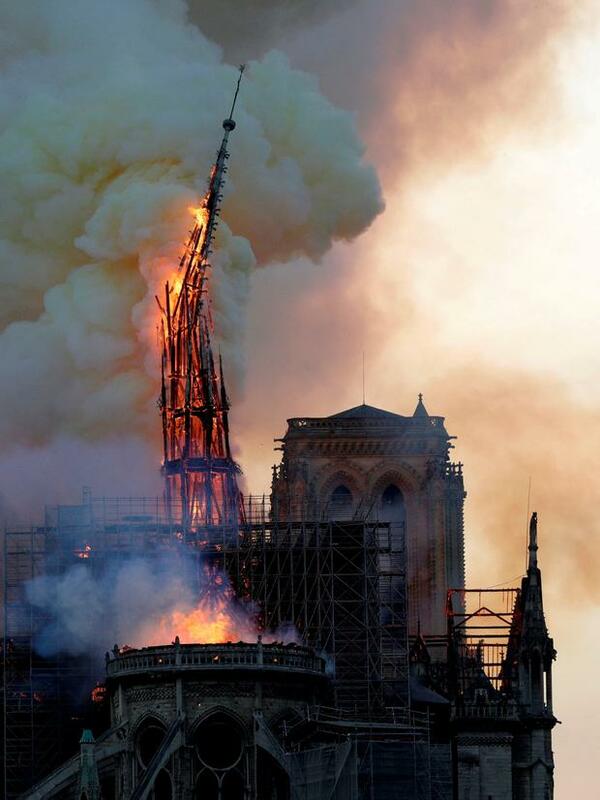 "Notre-Dame is burning, and I know the sadness, and this tremor felt by so many fellow French people. But tonight, I'd like to speak of hope too," he said, announcing the launch of an fundraising campaign. "Let's be proud, because we built this cathedral more than 800 years ago, we've built it and, throughout the centuries, let it grow and improved it. 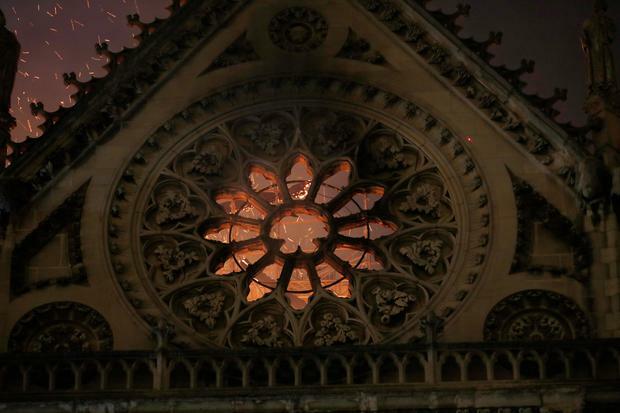 So I solemnly say tonight: we will rebuild it together," he added.